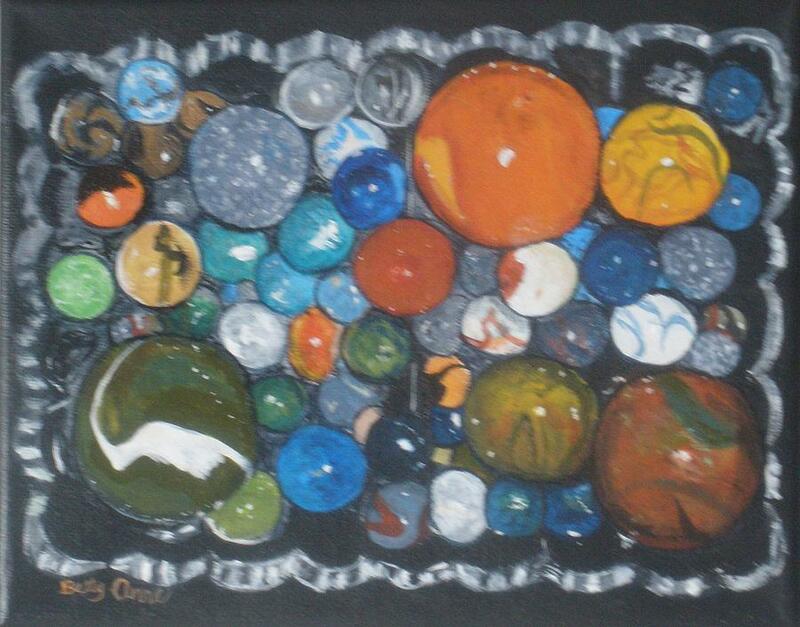 Coltons Marbles is a painting by Betty-Anne McDonald which was uploaded on January 15th, 2010. 8 x 10 acrylics. My grandson( 6 years old) was excited to get some new marbles and asked if we could take a picture of them, which he arranged in a glass pickle dish and set on his black undershirt. He then asked \"can you paint that picture, Gramma?\" All I needed to hear....He hugged it all day when he picked it up and has it in his bedroom now. Oh the joy of grandchildren!! There are no comments for Coltons Marbles. Click here to post the first comment.